We sometimes have a requirement to select between two or more expressions dependant on user selections or some other condition. For example, this chart Expression. The if() will select one or the other sum() expression based on the value of the vWithCommmision variable. Because a variable is being tested — not a row value — only one sum() will be chosen for the entire chart. If performance is important, this is not a good way to implement the requirement. QlikView does not “short circuit”. Short circuit means to stop evaluating when the condition is true. QlikView will calculate both sums and then return one of those results. Some people mistakenly believe that putting the above expression in a variable changes the behavior. This is incorrect. The if() evaluation is still done at the chart level and the performance impact remains. A performant way to solve the requirement is to put each calculation into a separate chart Expression and use the Conditional property to select the Expression. An Expression with a Conditional evaluating to False will not be calculated or displayed. There is also the possibility of choosing the calculation in a variable, but you have to follow a few rules. The variable should return the string representation of the formula. Note the single quotes in the example below. The variable definition should begin with “=”. This causes the if() to be evaluated only once. For more performance tips, join us at the upcoming “Masters Summit for Qlikvew” in San Francisco May 2015 where Oleg Troyansky presents an always enlightening session on Performance Tuning. Can’t make SF? Check out the other dates and locations on the website. I surmised the expression was being calculated twice for each row. I changed the main expression to set a Dual(). The chart cell still displays the Y/N text. But now I could use 1 and 0 values on the Visual Cues pane and eliminate the Background Color expression entirely. Much faster! A BUFFER prefix on a LOAD or SQL statement creates and maintains an automatic QVD for that statement. Subsequent executions of the LOAD/SELECT statement will read from the QVD, avoiding another (slower) trip to the database. A read from QVD is generally 5-10 times faster than fetching from database. On first execution, the SELECT will fetch rows from the database and the resulting TranTab will be stored in a specially named QVD on the local machine. On subsequent reloads, TranTab will automatically be loaded from the local QVD. If you make a change to the TranTab LOAD/SQL statement, QV Reload will detect the change and fetch from the database again and update the local QVD. During script development it’s not uncommon to perform a reload several times. You can greatly reduce the duration of a script run by adding BUFFER to your statements. Any script changes/adds you make will automatically invalidate that buffer and re-fetch from the database. Don’t forget to remove the BUFFER keyword before moving to production! You can read more about BUFFER and some optional parameters in the Qlikview Help. During the “Performance Tuning” session at the Barcelona Masters Summit, Oleg Troyansky demonstrated using Document Analyzer to identify unused fields followed by DROP FIELD statements to remove those unused fields from the data model. Roland Vecera offered an interesting discovery. DROP FIELD after a BINARY LOAD does not free the expected amount of memory. Roland has found that a subsequent LOAD RESIDENT of each affected table is required to fully reduce disk and RAM consumption to the expected level. 1. Symbol table, which stores the unique values of the field. 2. Record pointers, a pointer on each table row to the symbol value. 3. State space, where field selections are tracked. Based on testing and calculation, my interpretation is that in this scenario (BINARY LOAD/DROP FIELD), the Symbols and State space is released. However, the space occupied by the Record pointers is not released, i.e. the records are not rewritten. This may be a significant amount of space, particularly when a table contains many rows. For most developers this will be an obscure issue. But for people tuning large applications, this may provide an “aha”moment. Today let’s reinforce some QV data model principles for us old timers and introduce a few tricks for newbies to Qlikview. #1. Keys are not data. Key Fields in a Qlikview model should serve the data modeler, and not be used by chart Designers as data. Consider two tables, OrderHeader (one row for each Order) and OrderDetails (one row for each Order Line). linked together by Field OrderID. The solution is to create a counter field on the table that represents the correct cardinality for the counter. If we are counting Orders, that would be the OrderHeader table. Part two of of the recommendation is to isolate the key field so it is not mistakenly used as a data field. We do this by prefixing the key field name with a special character and SETing the QV system variable “HidePrefix” to that character. – Dimension or Expression property dialog (unless “Show System Fields” is checked). OrderID is available as a data field, but appropriately only from the OrderHeader table. will yield the correct Order count. Now we (the Data Modelers!) own those “%” key fields! They are ours, we told the UI designers explicitly that “it is not data” . The autonumber() function converts values to sequential integers. The second parameter, ‘%OrderID’, is important if you have multiple keys being autonumber() in your script. #1. Keys are not data. #2, Isolate keys using the “SET HidePrefix=x;” variable. Establish counter fields on the appropriate table. #3. Use the Autonumber() function to convert key field values to sequential integers. This will minimize the memory footprint of the application and improve the efficiency of cross table look-ups. 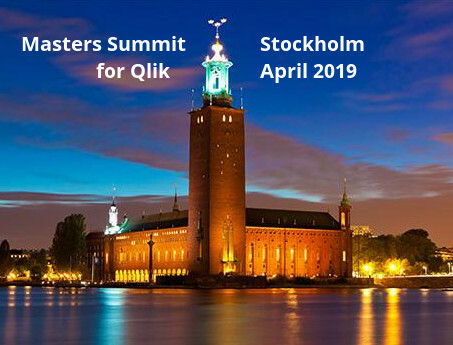 My friend and colleague Barry Harmsen, author of QlikView 11 for Developers, who is a much wiser data modeler than I, will be discussing QV data modeling in depth with me at the Masters Summit for Qlikview in Europe this October. I hope you can join us! Today I offer up a discussion of Qlikview “compression”. 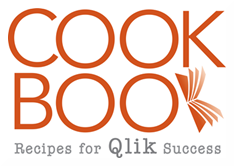 That is, the Qlikview features that make overall data get smaller, and in some cases, larger. Should you care? In most cases no. But understanding what “knobs you can turn” can be a useful tool for capacity planning and application tuning. Let’s look at the practices and parameters that affect data size. Script Execution: Data read from sources – such as database tables – are read in to memory (RAM) by the script execution (reload) process. Duplicate values are reduced to the unique set of values for each column. A “Gender” column has only two values – “Female” and “Male”, so the storage required for this column is minimal compared to a column that has a wide range (cardinality) of values such as a timestamp. This is not really “compression” but rather what I call “de-duplication”. The ratio of database storage to document storage is dependent on the data content as well as the use of common script techniques like separating timestamps into date and time fields. A typical database to document ratio is 10:1. For example, 2GB of database tables might require 200MB of document RAM. QVW write to Disk: After reload, the Qlikview document (data tables and screen objects) is written from RAM to Disk as a *.qvw file. If compression is set on (default) for the document, the qvw will be compressed as it is written to disk. The compression results will vary depending on data content, but is typically in the range of 2-5 times. For example, a document that requires 200MB of RAM will require somewhere between 40MB and 100MB of Disk storage. If compression is set to “None”, the document will be written to disk in the same format it existed in RAM and will occupy the same storage on disk as it utilized in RAM. The Compression option for each Document is set in the Document Properties, General tab. The default compression for new documents is defined the User Settings, Save tab. The compression option will of course impact the amount of disk storage used. But it also affects the amount of time it takes to read or write a qvw. I find that for most documents, an uncompressed document will write and read significantly faster than a compressed document. Some documents, especially large ones with high compression ratios, will read faster if compressed. The other factor is speed of the disk being used – local disk or network disk. I typically do my development with compression off and then do a timing test with both options before migrating to the server. QVW read from Disk: The *.qvw is loaded to RAM by a developer or on the Server by a user session. The amount of RAM required is the uncompressed size, regardless if compression was used to write the *.qvw to disk. As discussed in the previous section, my experience is that uncompressed documents read from a local disk typically load up faster, but this is not always true and is worth testing on large documents. ­What is the compression factor for QVD files? A QVD file contains the physical representation of an in-memory Qlikview Table. This “RAM image” format is what allows an optimized QVD load to be so quick. The physical blocks of disk are read directly into Qlikview RAM, “ready to go”. Because QVD is the RAM image, there is no compression. A QVD read with an optimized load will require the same RAM size as its size on disk (1:1). A QVD read with an un-optimized load may require significantly more RAM, due to some numeric fields being converted to strings. The expansion is typically about 2:1 but varies considerably. Here is a summary of the various “compression points” and typical results. If your documents are small and you are not experiencing performance issues, worry about none of this. Compressed documents occupy less disk space and their smaller size makes them easier to manage for moving, backup, etc. If you are trying to get a document to load faster, try turning off document compression and benchmark your results. Consider the type of disk when making this decision. Compression may more important in a network storage environment where reducing the amount of data transferred is a significant performance factor. It’s important to understand that the document compression option has no impact on RAM usage. It only impacts the amount of data read and written to disk. I attended Niklas Boman’s excellent Performance Tuning talk at Qonnections in Miami. One of his tuning recommendations was to reduce the number of rows and columns when possible. This will probably always have a positive impact on chart calculation time, but if done incorrectly, reducing the quantity of data can have an adverse impact on RAM usage. aNum – unique integers, 1M unique values. aDate – dates distributed equally throughout 2000-2003, 1,460 unique values. QV stores each of these values as integers, occupying 4 bytes of RAM each. Nice and compact. Which of the following statements will create a QVW that uses more RAM? Statement A, which loads 1000K rows or Statement B, which loads only 750K rows? Pat yourself on the back if you answered “B”. B will use more RAM! More RAM for less data? Why? Because “B” causes an unoptimized load which results in QV converting the Integer representations of the data to String representation. QV can load QVDs in one of two modes – Optimized or Unoptimized (more in the Ref Guide). In an optimized load, the RAM image from the QVD is loaded directly into memory. An optimized load is indicated in the Loading message in the progress window. (Note to development: would be nice if the optimized message appeared in the log as well). In unoptimized mode, the QVD image is “unwrapped” and the data processed discretly. This causes the internal formatting to be lost and the data is stored internally as Mixed. So each “aNum” that previously occupied 4 bytes, now takes 9 bytes. “aDate” now averages 18.96 bytes each. How can you tell how much RAM a field is using? “Document Settings, General, Memory Statistics” button will generate a .mem text file that contains a storage size for the “Symbols” (values) of each field. You can view the .mem file directly or load it into a QVW for processing. The 8.5 beta provides a “Qlikview Optimizer.qvw” for just this purpose. I’ve uploaded this file to the “Share Qlikviews” section of QlikCommunity if you don’t have 8.5. WorkaroundsI’ve found that I can usually “fix” the field by setting the desired format in the Document Properties and checking the “Survive Reload” box. You can also apply formats in the load script, but I find this tedious if I have more than a few fields. Here are some alternative workarounds. To create additional fields, use a RIGHT JOIN after the optimized load. In some cases, the above example will give you an additional optimization. Something I call the “sequential integer optimization” which I’ll discuss on another day. Worrying about RAM is not always necessary and many times is not worth the effort, especially if it makes your script harder to follow. However, for large datasets, particularly in the 32bit environment, you may be forced to optimize RAM usage. Using the mem files allows you to identify the most productive candidates for tuning. The QV Reference Guide points out that an optimized load will run faster than an unoptimized load. I think it would be useful to have brief discussion of the impact on RAM usage as well.